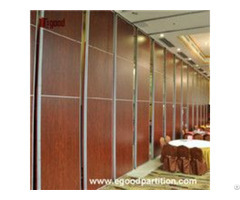 Egood movable wall partition is made of high quality anodized aluminum frame with environmentally composite materials.the panels move on a ceiling track with no requirement of floor guides or rails., the panel has a standard thickness of 65mm, 80mm and 100mm, and a width up to 1219mm.Maximum height can reach 17meter tall. 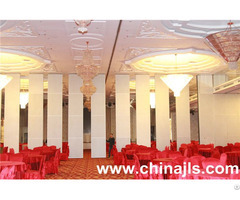 The movable partitions consist of a series of concave/convex profile interlocking flat panels and the fast set retractable top and bottom seals, its provide excellent acoustic insulation property of from STC-32 to 53 in laboratory setting.Its high performance per dollar value and the easiest in-field operation makes it very suitable for restaurant, schools, office, religion, hospitals, shopping arcades and many other indoor applications product. 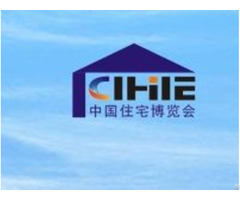 There are wide of range face finishes are available :melamine faced MDF or Plywood,, fabric, carpet, fabric, artificial, leather, wood veneer, high pressure laminate, Formica, acoustic panel, white boad ect., panels may also be supplied unfinished for field decoration, Standard frame color is clear anodized aluminum, custom powder coating colors are available. 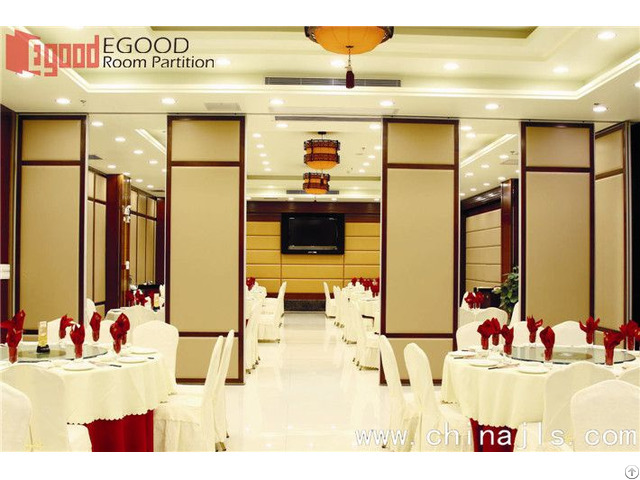 Egood works with Architects, designer, developers, contractores and owners in design product selection, decorative finishes, project management and after-sales warranty services as her one-stop solution business service.